6:16 - The Corps of Cadets and their fans are rushing the field. 6:12 - Army gets a first down and should be able to run out the clock and get their first win since 2001 over Navy. 6:11 - Navy calls a timeout with Army facing a 3rd-and-1 at the Army 45. That was Navy's last timeout and this is the play of the game. 6:09 - Army picks up a first down. 2:45 left in the game. 6:07 - Navy was stuffed on third down and Barta is on to punt with 4:19 left in the game. Navy has one timeout remaining. 6:05 - Abey was sacked on the first play losing 6 yards. 2nd-and-16 Navy. 6:03 - Navy takes over at their own 34 following a Dishan Romine kickoff return. Ryan Harris was shaken up on the return. 5:58 - Ahmad Bradshaw carries the ball 9 yards for an Army TD. The Black Knights regain the lead, 21-17 with 6:00 remaining in the game. Army's scoring drive was 12-80-6:42. 5:57 - Army converts the fourth down play with a 7 yard run by Davidson to the Navy 11. 5:56 - Army was short and has a 4th and inches at the 18. 5:55 - Army has a first down at the Navy 17. The play is under review. There's 7:12 remaining in the game with Navy holding a 3 point lead. 5:48 - Bradshaw completes his first pass of the game, a 29-yarder to Edgar Poe. Army has the ball at their own 49. 5:43 - Zach Abey runs 41 yards for a Navy TD. The Mids have the lead for the first time in the game. The Mids take the lead, 17-14. Navy's scoring drive was 2-53-0:47. 5:38 - Navy's defense forces a 3-and-out for Army. Mote's punt traveled 25 yards to the Navy 47. 5:32 - The 3rd quarter ends with Army leading Navy, 14-10. We have a nail biter with 15 minutes left to play. 5:31 - Navy can't take advantage of Army's turnover and are forced to punt. Barta kicks the ball 46 yards to the Army 21. 5:26 - Navy comes up with another fumble recovery to regain possession. Sean Williams came up with the recovery. He has 2 fumble recoveries and an INT in the game. 5:25 - A fan just ran around the field carrying a sign that I couldn't read. He got to the end zone and took a knee before the police had to tackle him. 5:23 - Tyler Campbell gets outside and runs for 17 yards to the Army 46. On the next play Walker carries the ball 12 yards to the Navy 42. 5:18 - Bennett Moehring hits a 28-yard field goal cutting Army's lead to 14-10. Navy's scoring drive was 10-54-5:20. 5:15 - The play was overturned. Navy takes over at the 11 yard line, 1st-and-10. 5:10 - Dishan Romine can't handle a hard pitch from Zach Abey and Rhyan England appears to keep the ball from going out of bounds and then recovered the ball at the 12 yard line. The play is being reviewed. 5:07 - Abey completes a 29-yard pass to a wide open Brandon Colon to the Army 38 yard line. 5:06 - Navy starts their second drive of the half with a 5-yard false start penalty. Navy will need to eliminate the mistakes in the second half. 5:03 - Navy's defense forces Army to punt for the first time in the game. 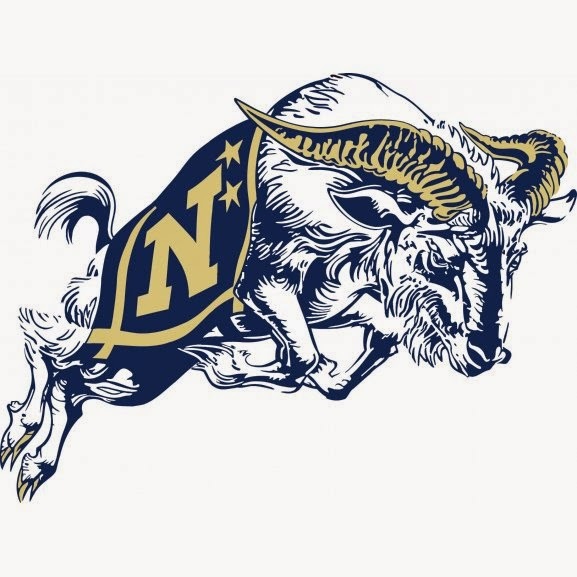 JD Mote kicks the ball 30 yards to the Navy 35. The Mids take over down one score with 9:19 remaining in the third quarter. 4:55 - Navy is driving. Abey completes a 16-yard pass to Shawn White to the Army 11. White then carries the ball 7 yards to the Army 4. 4:45 - Ahmad Bradshaw fumbles the football and it's recovered by Navy's Sean Williams at the Army 32 yard line. Halftime notes - Army has outgained Navy, 182-49. Army has a time of possession advantage - 22:32 to 7:28. 4:22 - The first half ends mercifully for Navy with Army leading 14-0. 4:21 - On Navy's ensuing play, Abey was picked off for the second time in the game. England picked off the over throw by Abey and Army regains the ball at their own 40. 4:19 - Walker carries the ball 15-yards to the Navy 42. On the next play, Davidson fumbles and its recovered by Amos Mason at the Navy 42. 4:15 - Army continues to pound the ball down the throats of the Midshipmen. They have moved the ball 29 yards and have gained 2 more first downs moving the ball to their own 43. 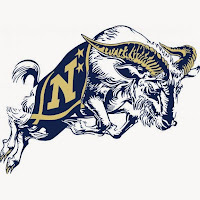 4:10 - Navy is forced to punt again, this time booming a 47-yard punt that was fair caught at the Army 14. Navy's plays per drive so far have been 5, 1, 3, and 3. Navy has one first down in today's game compared to Army's 11. 4:07 - Army leads the time of possession battle so far - 17:41 to 5:07. Army has totally dominated the game so far. 4:01 - Davidson gets his second 1 yard TD on the afternoon. Army leads Navy, 14-0 with 7:12 remaining in the second quarter. Army's scoring drive was 11-46-6:15. Army has 132 total yards compared to Navy's 43. All of the yards have been on the ground so far. 4:00 - Army converts at 4th-and-2 at the Navy 15 yard line. Davidson runs for 3 to the Navy 12. Kell Walker carries the ball 11 yards to the Navy 1 on the next drive. 3:52 - Verne Lundquist was just shown on the big screen to a big applause. He's calling his final football game this afternoon on CBS. 3:50 - Alex Barta in to punt for Navy. The Mids have 2 turnovers and a punt on their first three possessions. Barta's punt foes out of bounds at the Navy 46 yard line after a 15-yard punt. 3:44 - At the end of the first quarter, Army leads Navy 7-0. The key to this game so far is turnovers as Navy has turned the ball over two times, 1 fumble ad 1 INT. Army has thrown 1 INT. 3:41 - Army's Ahmad Bradshaw is picked off on his first pass attempt by Navy's Sean Williams. The Mids take over on their own 22 yard line. 3:35 - On Navy's first play of their second possession, Zach Abey is picked off on a pass attempt to Jamir Tillman. Xavier Moss intercepted the errant pass and was tackled at the Army 32. Navy has a turnover on each of their possessions in the game. 3:28 - Andy Davidson rambles for one yard to the end zone and Army leads Navy, 7-0. Army's scoring drive was 14-plays, 66 yards, and 7:39. They did not throw a pass on the drive. The scoring drive was the 9th straight game that Navy gave up an opening-drive TD. 3:27 - Army picks up their 4th first down on the drive. The Black Knights have the ball 1st-and-10 at the Navy 17. 3:21 - Donald Trump has arrived and was shown on the big screen. 3:16 - Shawn White fumbles after an 11-yard carry and it's recovered by Army's Ryan England at the Army 34. Turnovers may be the deciding factor in today's game. This was White's first fumble in 75 carries this year. 3:13 - Army kicks off and Jahmaal Daniel returned the ball to the Navy 32. Navy's four captains are Will Worth, Toneo Gulley, Daniel Gonzales, and Tago Smith. None of them will play in today's game. Army won the coin toss and elected to defer to the second half. Navy will get the ball first. The West Point and Naval Academy joint Glee Clubs just sang the National Anthem. It seems to mean just a little bit more at an event like this. Both teams have taken the field for their pregame warmups. During warmups, a Midshipmen fell from the stands and landed in the tunnel area. He was taken to a local hospital and there is no word on his condition. The Navy Leap Frog and Army Golden Knight parachute teams just landed in the stadium. Navy - The Midshipmen come into this year's contest with a 9-3 record and are playing for their second straight 10-win season which would be the first back-to-back 10-win seasons in program history. The Mids have had to shuffle their depth chart quite a bit this week following last week's loss to Temple in the AAC Championship game. Starting quarterback, Will Worth and senior co-captain, Toneo Gulley both went down with injuries on the same play and are finished for the season. With Gulleys injury last week, that means both of Navy's captains are out for today's game. Daniel Gonzales was also injured earlier this season. Navy's offense will be lead by sophomore QB, Zach Abey. To the best of everyone's knowledge, Abey will be the first Navy QB to make his first start against Army. Abey will be leading the number three rushing offense into the team's biggest game of the year. Fullback, Chris High will be the team's leading active rusher in today's game. High has 483 yards on he ground with 5 TDs. Fellow fullback, Shawn White is not far behind with 421 yards and 7 TDs. WR Jamir Tillman will try to assist Abey in making his transition to starter a successful one. Tillman is one of the better receivers in team history and leads the team this year with 35 receptions, 582 yards, and 2 TDs. Army - The Black Knights come into today's game with a 6-5 record and will be playing in the Heart of Dallas Bowl on December 27, their first bowl appearance since 2010. Army West Point owns the second-ranked rushing attack in the country averaging 328.7 yards per game. Fullback Andy Davidson leads the Knight's running game with 818 yards and 9 touchdowns. Starting quarterback, Ahmad Bradshaw is the second leading rusher in Army's triple-option offense with 644 yards and 6 touchdowns. Darnell Woolfolk adds 450 yards and 7 TDs. Bradshaw can also be effective through the air, although he's attempted only 84 passes in 10 games. He didn't play against Notre Dame. He's completed nearly 43 percent of his passes for 615 yards with 4 TDs. Bradshaw has attempted more than 8 passes in just two games, and in both of those games the Black Knights have lost the game. He attempted 21 passes in 35-18 loss to North Texas and 15 passes in a 31-12 loss to Air Force. Bradshaw is backed up by Chris Carter who is 9 for 23 for 176 yards and 2 TDs. Senior, Edgar Poe is the leading receiving threat for Army with 14 catches for 292 yards and 3 TDs in 8 games. Poe had 5 catches for 121 yards and a TD last year against Navy. Army boasts the 5 ranked defense in FBS allowing just 288 yards per game. They have the 6th ranked passing defense and the 14th ranked scoring defense allowing just 19.1 points per game. The defense is led by linebacker Andrew King. He's tied for the team lead in total tackles with 88 and has added 5 sacks and 2 fumble recoveries. Army and Navy meet for the 117th time this afternoon at M&T Bank Stadium in Baltimore, MD. The pageantry that comes with the Army-Navy game makes the day even more exciting. The ESPN College Game Day crew broadcasted their show live from Inner Harbor in front of a huge crowd of biased supporters. The highlight of the broadcast is always when Lee Corso makes his selection of the day's biggest game. He announces his choice by adorning the head gear of the mascot of the team that he thinks will win the game. Not surprisingly, Corso who is a former coach at the Naval Academy selected the Navy Goat headgear to the loud applause of many Midshipmen that were in attendance. Prior to today's game the Brigade of Midshipmen from Navy and the Corps of Cadets from Army will march on to the field in what is a must see activity before this game. It's considered so important that the march on will be broadcast live on CBS Sports Network. The Golden Knights and Leap Frogs will parachute into the stadium approximately 30 minutes before kickoff. The impressive fly-over will take place just before kickoff. Dignitaries from the Army and Navy will be present to cheer on their respective teams and it's reported that President-elect, Donald Trump will be in attendance at today's game as well. 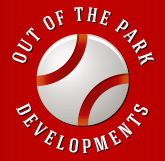 Great rundown of a great game! I'm so glad I got to see it live. Funny that even Trump got to see it too.